I originally learned about (and purchased) this hair serum from Ulta. I have thick, coarse, wavy hair just below my shoulders. I was looking for a hair treatment to help with hair breakage and dryness not really of hair loss or thinning. I purchased this because of the listed ingredients. The scent is a bit strong in the bottle - reminds me a bit of patchouli which I’m not fond of - but I apply at night and once on and definitely the next morning, I don’t notice it. 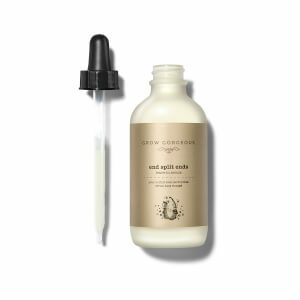 I have dry scalp especially in the winter time, this serum has eliminated that entirely. It does last 2 months as advertised. After 2 weeks I (and others) started to notice improvement in my hair’s texture. It looks and feels so soft, looks even thicker, and I definitely have new hair growth even though that was not what I was seeking for when originally purchasing this serum. I am in my fifties, post-menopausal with color treated hair, and my hair now is back to, if not better, than my hair was in my twenties. I've just used this product for less than one week, but I love its smell very much. I heard about it several months ago and wanted to try it since then. Hope it can thicker my hair! I've applied this a few times now. It's tough to know how much is 20 drops unless you put it in your hand first, then apply. Dropper is a bit moody. Also, I find my throat being irritated by the fumes! It's causing me to cough. The scent is so strong and I'm not sure if I'm having an asthma like reaction. My hair seems duller and less smooth too. It's too early to tell if it works. I want it to so badly since there are so many positive reviews. I'm going to keep trying to muscle through the asthma-like coughing and throat burn. Will update my review. I just started to use it .didn't see any result.but I love the scent so much . it's liquid, no greasy, absorb quickly. I used to have beautiful, thick, shiny, gorgeous hair. It was so thick I always needed 2 boxes of coloring just to make sure all my hair would be dyed. But then I developed thyroid problems (MANY people, woman especially, start having thyroid problems by the time they hit their 30's & it is usually diagnosed too late) I ended up having a Thyroidectomy 15yrs ago and I've been battling the negatives of having my thyroid out ever since. Your thyroid is what regulates EVERY organ in ur body, & what is the largest organ you have? It is your skin. So dryness and my skin peeling is pretty major but it also affects my hair, nails, teeth & bones, anything that Vitamin D & Calcium makes healthy & the thyroid is the gland that completely "controls" where they are needed so when you no longer have a thyroid your body has a VERY difficult time keeping these areas healthy, meaning my hair falls out 3 times more than others & it's thinner & duller. So needless to say I have been trying every item on the market these days to help me not only repair what I can but also make it stronger & as healthy as possible. So this is how I came upon this product. 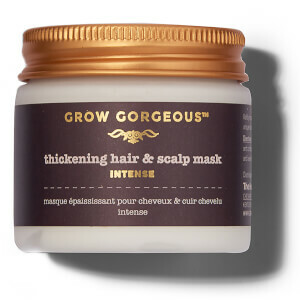 My daughter in-law recommend I try it because she was born with thin hair & she said this worked like a miracle. So of course I HAD to give it a go. I figured what do I have to lose? It was a little more money than I wanted to spend but I was running out of products to try. So I tried it....and I ABSOLUTELY LOVE, LOVE IT!!!! The fist thing I noticed was all the little baby hairs that started sprouting in my hairline around my face by my temples, ears and forehead! Then those started to grow to full hair. My hair became FULLER, THICKER & SOOO MUCH SHINE! Believe me, I was just as floored as ANYONE could be! Especially after sooo many YEARS of product testing. I was going to give it til I was 55 yrs old (I'll be 50 in Dec.) & if I hadn't found a product by then I was going to seriously look into wigs, that's how bad my hair gotten. So, THANK YOU FOR THIS PRODUCT! THANK YOU for giving me back my confidence again!!!! And THANK YOU for not testing on animals!! I bought one for my mother first. She said she didn't lose so much hair as before and could see some hairs starting to grow so then I bought one for myself too. I dont have much hair on the two sides of my forehead so I only applied to those areas. It works after around 2weeks of routine. But it really takes time for the intensity and growth so be patient. This product is too watery for a serum. You need to be careful when holding the tube as it drops all the way. Besides, it brims over the first few times you use. Results highly visible! A product that works as advertised ! excellent product and fast delivery. Thanks.